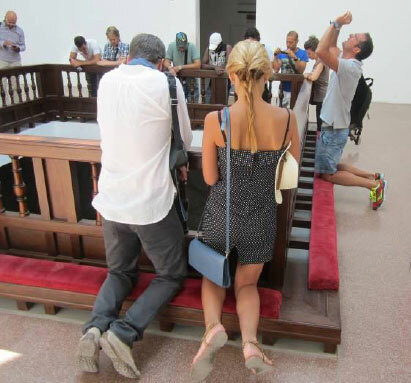 I just returned from Venice, where we organised tours for art lovers at its 55th Biennale. My head is brimming with images. There is so much to tell about The Encyclopedic Palace, curated by Massimilliano Gioni (Italy, 1973) and the exhibitions in the surrounding pavilions! I’ll give you a virtual tour, and select a few of the more than 150 artists, focusing on the impact of art objects on our lives. 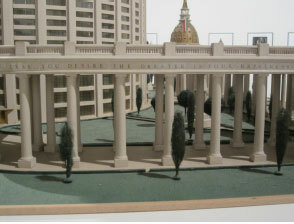 Gioni starts with showcasing the architectural model of The Encyclopedic Palace of the World, meticulously constructed by the amateur Marino Auriti (1895, Italy – 1980, USA) in the fifties. This imaginary museum should house all human knowledge, from the wheel to the satellite, from ancient artefacts to vanguard art. But to realize this Museum of Museums would require a 700 meter tall building,, an endeavour doomed to fail. In turn, Gioni creates an ‘Encyclopedic Palace of Art’ of his own, trying to chart the many ways of art making in the world. Since the dawn of history and in all cultures, humans have tried to capture the multifarious world in objects and ideas. Gioni is fascinated by this urge. He takes an anthropological approach, including contemporary art, as well as amateur art, outsider art, and religious objects. We humans make art, trying to comprehend ourselves and our fleeting existence in the world searching for meaning – if there is any. Interestingly, the word comprehend is derived from ‘comprendere’ (Latin for ‘understanding’) and ‘hend’, from ‘hand’. The dialectic process of looking, shaping and reflecting the physical thing you have made, is a way of ‘grasping’ the world, trying to structure and understand yourself and the world around you. As the artists among you will know, this is often an intuitive process. But what do we see? What can we know? Not as much as we would like to think. Of course, we’ve enhanced our vision with the invention of ever more technical instruments, as Yuri Ancarani (Italy, 1972) illustrates with his spine-chilling video Da Vinci of a robotic surgical operation. Seen from inside out, through miniature camera’s that are taken inside the body, a stunning landscape of throbbing abdomen is waiting to be pierced by robotic arms… And yet, in spite of all our technological progress, we are groping in the dark, just like the blind people in Artur Zmijewski’s (Poland, 1966)touching film Blindly, , who have to paint their self portrait in colour. How to explain to them what is yellow? Blindly could be a metaphor of our shortcomings in perceiving reality. To grasp the world, we have to rely on our senses, but these are limited. Snakes can see infrared radiation, we don’t. Who knows what else exists, which lies beyond our perception of the exterior world? Another key work in Gioni’s exhibition is a face with closed eyes, inviting us to meditate our inner world, which opens up another perspective on reality. 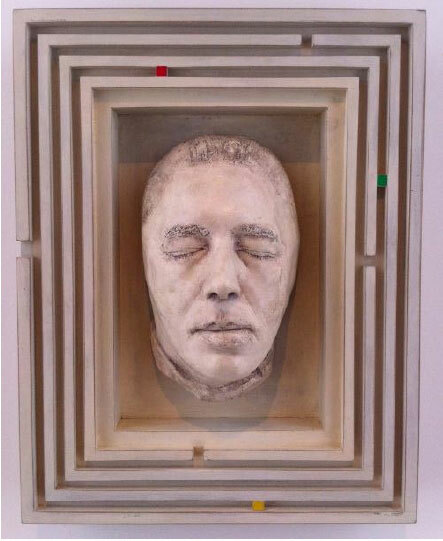 It’s a life-cast of the face of André Breton (1896-1966), the godfather of the Surrealist movement. ‘We are living under the reign of rationality, but to really know who we are, we should descend into the depths of our minds’, said Breton in the wake of Freud. 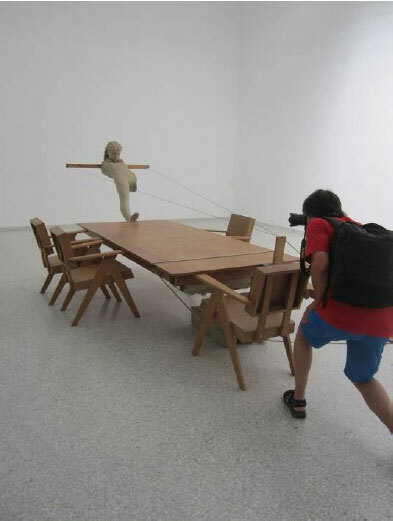 Mark Manders (Netherlands, 1968) skilfully materializes his thoughts in his Self Portrait as a Building, the central theme in his oeuvre. Initially Manders wanted to be a writer, but became a sculptor instead. Rather than letters, he translates his thoughts into three dimensions to make them ‘real’, creating a landscape of his mind that you can literally walk through. 1987) is an autistic who barely speaks but subtly expresses himself in clay, modelling fantastic creatures covered with spikes. 1982) investigates the perception of psychiatric patients. 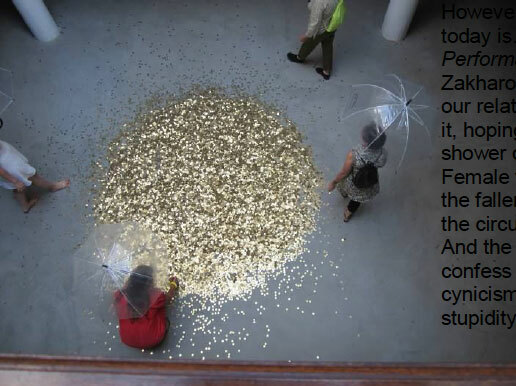 She visualises their claustrophobic and haunting world in the installation Asylum. 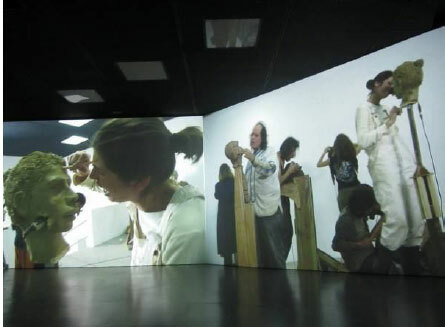 Masks are a recurrent theme in the exhibition. 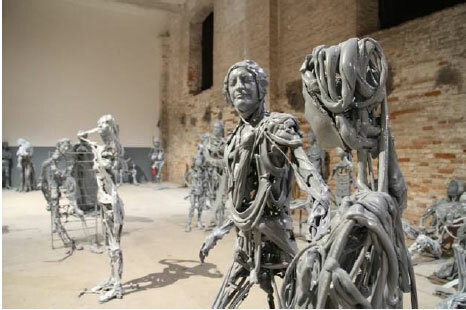 The Venetians of Pawel Althamer (Poland, 1967) are present and absent at the same time. 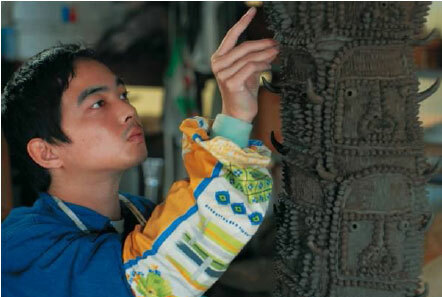 The artist gets as close to life as he can, directly making moulds of local people’s faces and hands. Young and old, cheerful or withered, you feel their energy. But the grey figures have a ghostly appearance, reminding one of the transience of life. ‘I realize that the body is only a vehicle for the soul,’ says Althamer. According to the fascinating BBC-series How Art Made the World (2005) the oldest artefact ever made is a skull covered with clay (not in the show). Was it a desperate attempt to resurrect the dead? When Duane Hanson (USA, 1925-1996) discovered polyester resin and fibreglass, he succeeded in creating lifelike sculptures such as Bus Stop Lady (1983). Fashionably dressed, a bag in her hand, she stands there, perennially waiting for a bus that will never come. Gilad Ratman (Israel, 1975) tries to imbue his figures with life as well, suggesting that they can speak. He asks participants of The Workshop to model their own image. Subsequently they press a microphone into the clay heads and grant them their voices. Many artists are driven by the desire to capture life, to lift it out of the stream of time and preserve it for eternity. But life passes. Death awaits us and the artwork remains a thing. Dead matter. Or not? 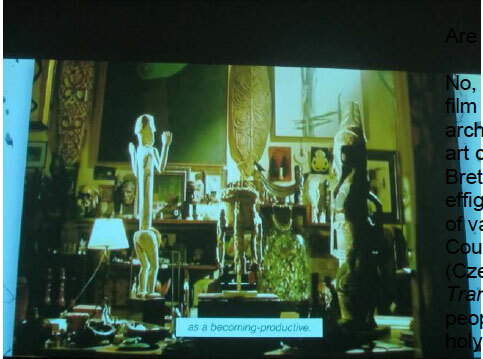 No, says Ed Atkins (UK, 1982) in his film The Trick Brain, made with archival footage of André Breton’s art collection. Atkins considers Breton’s sculptures, masks and effigies as cadavers, material traces of vanished lives. Could be, says Harun Farocki (Czech Republic, 1944). In his video Transmission he demonstrates how people respond to memorials and holy objects, touching, kissing or prostrating for them. Sometimes, artworks deeply affect me, like the installation of Berlinde De Bruyckere (Belgium, 1964). Without knowing that Cripplewood was dedicated to the martyr Saint Sebastian, patron of Venice, I felt empathy with this suffering being. Humans or trees, we all have to die – and maybe there’s beauty in that too. 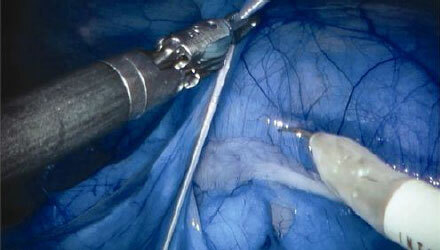 De Bruyckere consoles us, gently supporting the prostrate limbs with cushions, as if wanting to alleviate the pain. 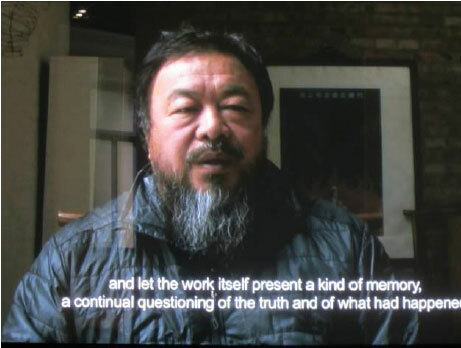 I held my breath, when I saw Straight by Ai Weiwei (China, 1957). With a group of people, he created an impressive memorial for the children who perished during the 2008 earthquake in Sichuan, China. 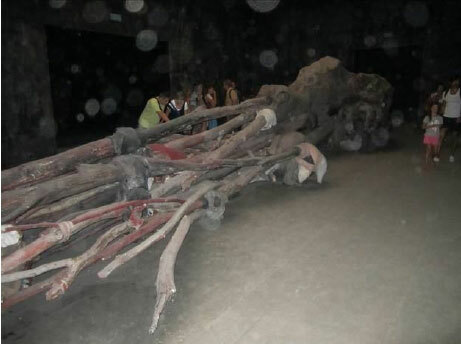 It took three years to collect 150 tons of steel reinforcing bars from the collapsed schools. There is one steel bar for each victim, hammered straight, by hand, in 200 blows, as a kind of ritual. The material itself is laden with meaning, reminding us of what happened. Zakharov comments on the predatory capitalism that afflicts the world and Russia in particular. In English Magic, his colleague Jemery Deller (UK, 1966) lets the socialist William Morris rise from his grave to destroy the extravagant yacht of the Russian billionaire Abramovich. A form of wishful thinking, or black magic? Just believe in it, then it will happen. ‘People are incited by pictures and sculptures. Mutilate them, kiss them, cry before them, go on journeys to them. They are calmed by them, elevated by them, incited to revolt by them…They have always responded in these ways; and they still do,’ according to David Freedberg in the fascinating book, The Power of Images, History and Theory of Response (Chicago/London, 1989). Art objects are not just things – they are embodied thoughts and feelings, which exercise power on our thinking.